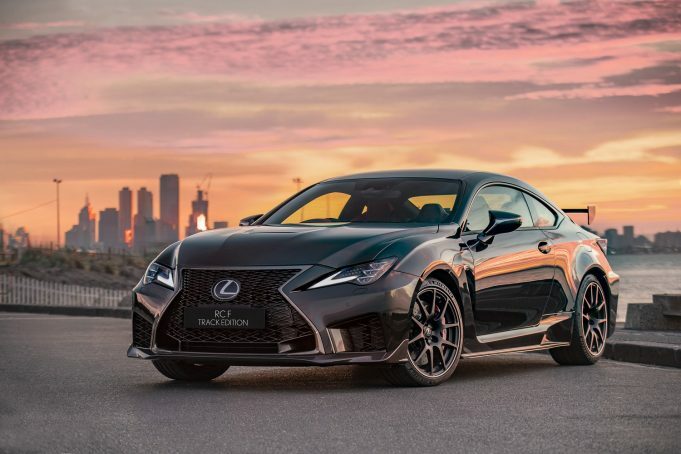 IT’S the flagship of the Lexus coupe fleet and not only has it undergone a face lift and an overhaul of its range, it’s now more affordable too. Oh, and there’s a track edition as well. 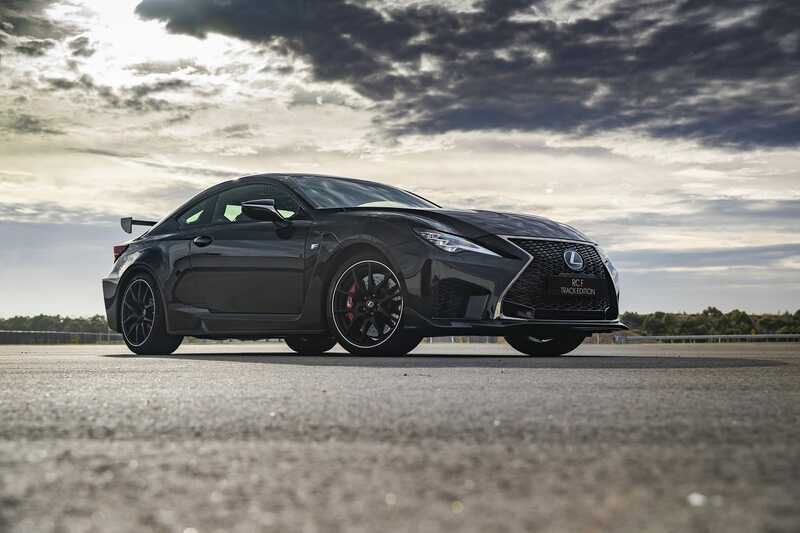 We speak of course of the Lexus RC F.
Powered by a high-revving, highly acclaimed naturally aspirated 5.0-litre V8 that produces 351kW of power and 530Nm of torque, the RC F and new RC F Track Edition offers one of the most responsive and sonorous engines on the market today. 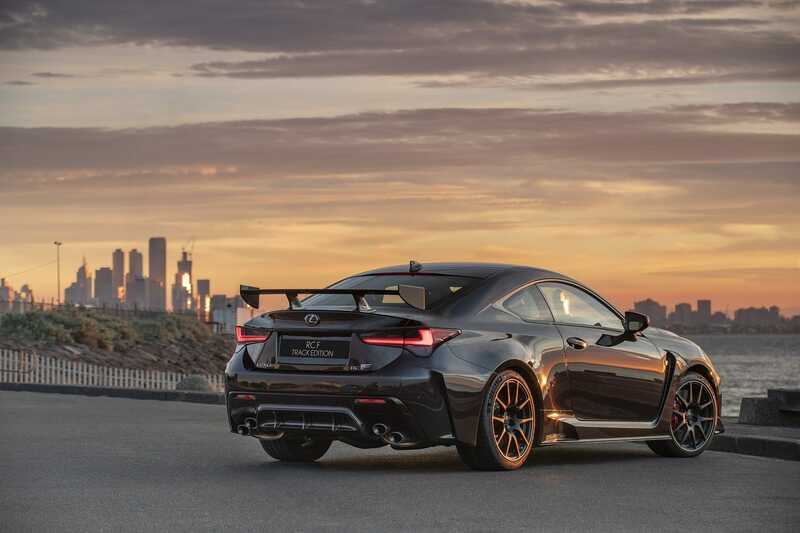 Every new RC F debuts improved aerodynamics with greater down force particularly on the front axle, stiffer and lighter suspension components, firmer steering control, a freer-breathing and lighter engine, more intuitive transmission and grippier tyres. 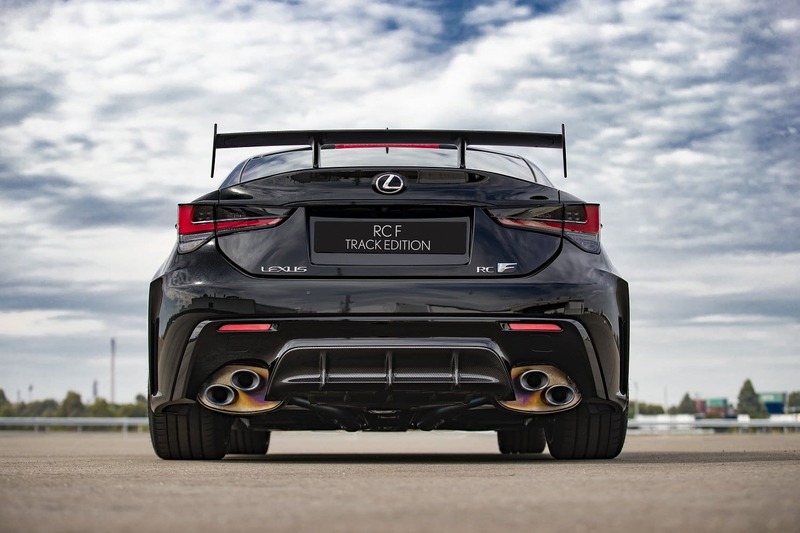 For the standard RC F, three enhancement packages will also be made available, with the highest package offering upgrades otherwise exclusive to the limited RC F Track Edition. In addition to the dramatic enhancements targeting reduced weight and improved dynamic handling, the entry price of the RC F has been reduced to $134,129, while the faster and sharper RC F Track Edition is priced from $165,690 (both plus on-roads). The refreshed styling of the RC F incorporates new single-piece high-grade LED headlights and a wider grille with L-shaped mesh pattern, while enlarged front-side air breathers and new canard ‘fins’ on the lower front bumper more accurately harness air. 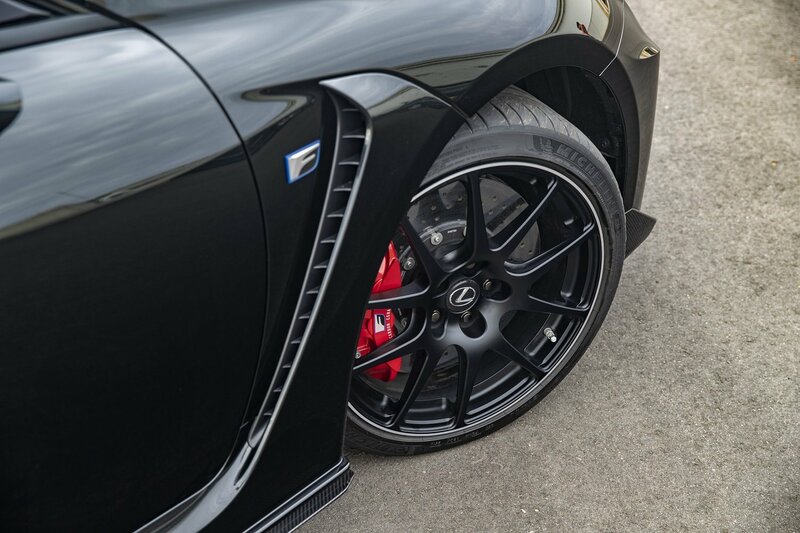 Control of flow is then directed by fin-shaped side rocker moldings – derived from the RC F GT3 race car – to new rear air breathers. The incredible looking coupe also gets a lower and more aggressive stance. The RC F Track Edition hones that aerodynamic focus with a front lower spoiler to further reduce front-end lift, and carbon fibre reinforced plastic (CFRP) side fins. A new, more solid rear engine mount has also been developed to greatly enhance handling stability, particularly at the cornering limit. 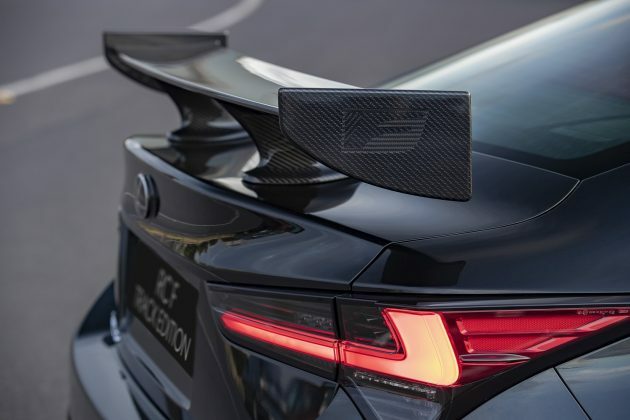 And for the first time since the LFA super car, Lexus will offer standard launch control across the RC F range. The eight-speed automatic transmission debuts new AI-SHIFT control with greater intuition and, in Sport S+ mode, more aggressive downshifting. Front suspension upper support mounts and rear toe control arm brackets have been changed from steel to aluminium, while hollow rear-axle shafts replace solid shafts, in each case to reduce weight and enhance rigidity. The changes have also resulted in a reduced kerb weight of 15kg for the standard RC F.
The CFRP bonnet, roof, rear diffuser, lower rocker panel, front spoiler, rear wing and rear-seat brace also help deliver a 65kg total reduction for the RC F Track Edition, which has a kerb weight of 1715kg – undercutting two German coupe rivals.